Hi, I’m Dynamizer™! I’m a fun and educational learning activity that helps young people discover and use their strengths. Before I go any further, you should know that I’m SO much more than just a deck of cards. I’m a way to help the young people in your life build their self-confidence. I help them deepen their relationships and improve the way they communicate. I can even help reduce bullying in their schools and help them figure out a great career path. 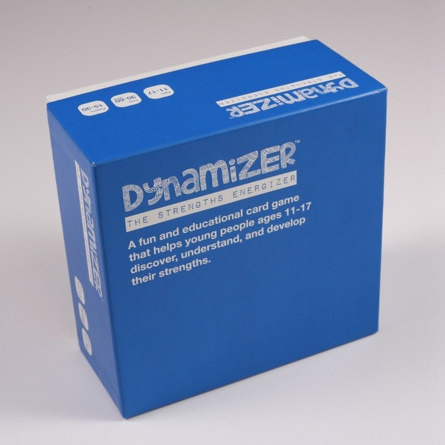 Need a lot of Dynamizers for your school or a larger student group? No problem, we’ve got bulk discounts! Pricing will automatically adjust as you add them to your cart. Buy 25-49 boxes = get 20% off! Buy 50+ boxes = only $49.95/box!